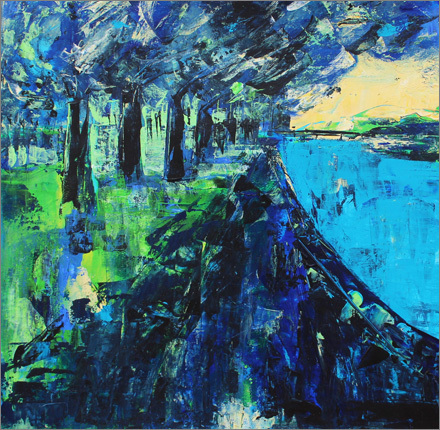 Nao McDowell's work is mainly focused on an appreciation of the environment around her. 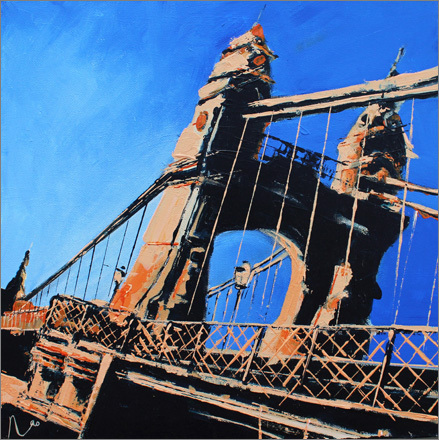 She loves being surrounded by the bold architectural perspectives of iconic London landmarks and her work draws influence from this diverse and sprawling city. 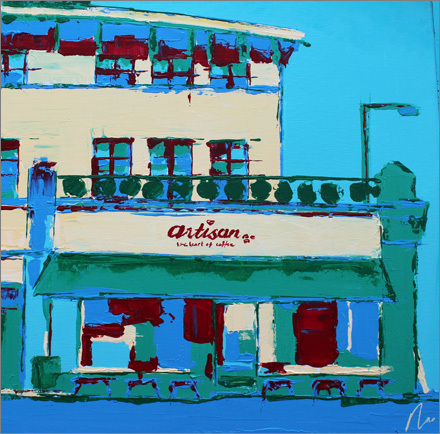 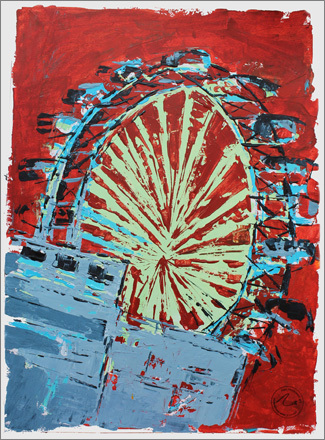 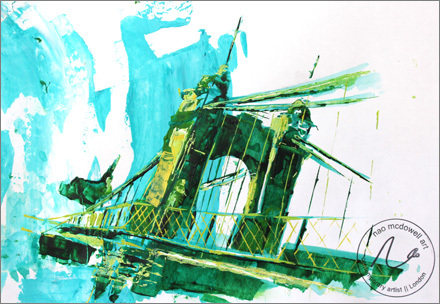 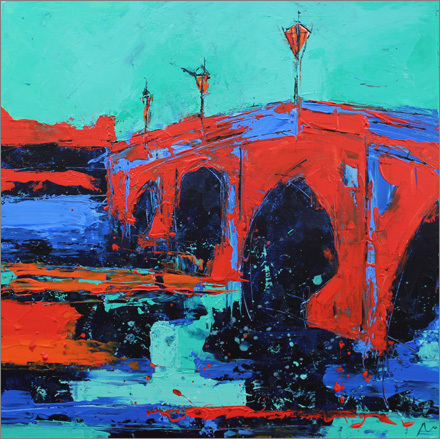 Her signature style combines vibrant colour combinations, sculptural layers of paint and unusual perspectives created using palette knives. 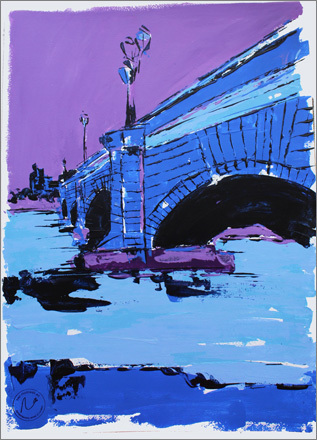 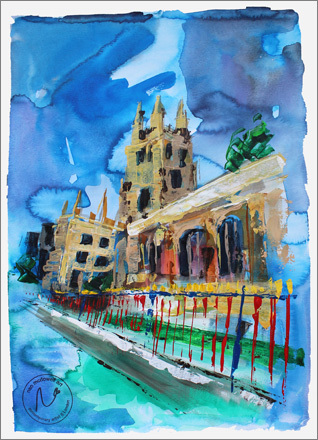 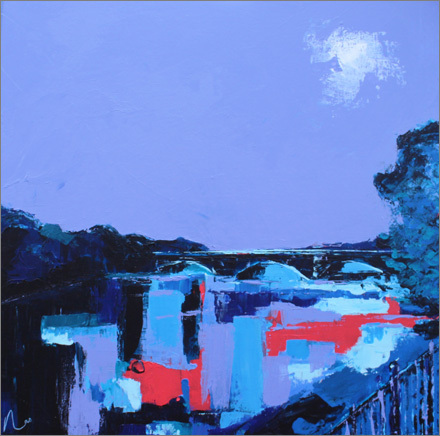 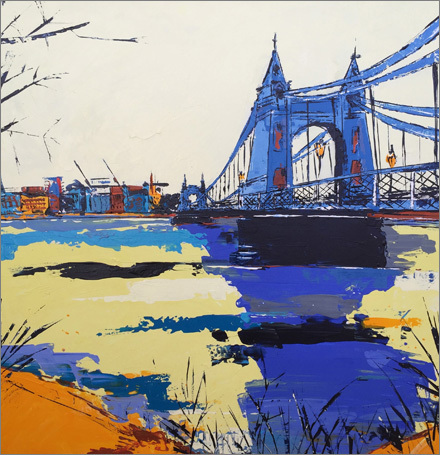 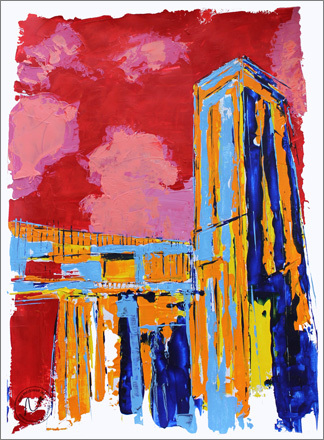 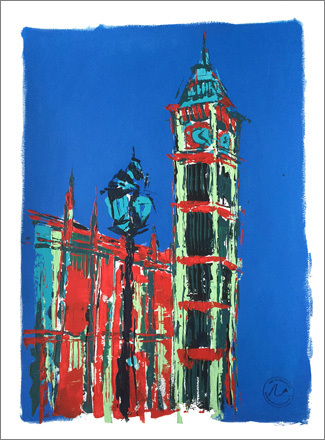 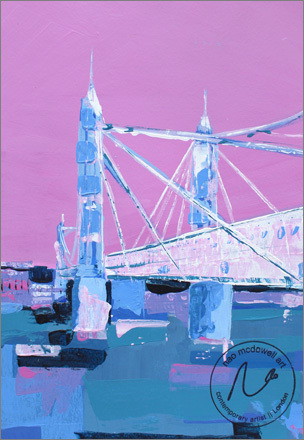 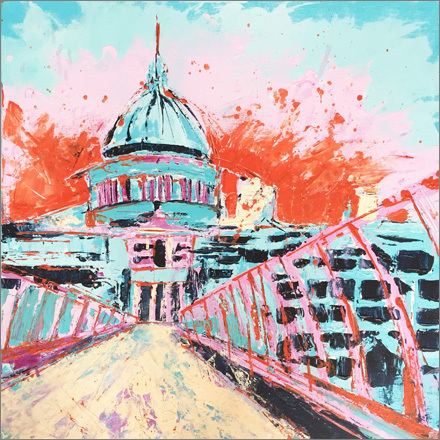 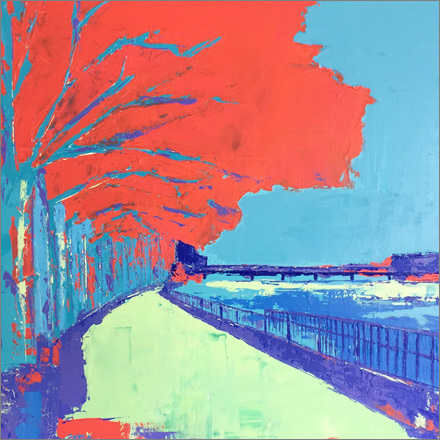 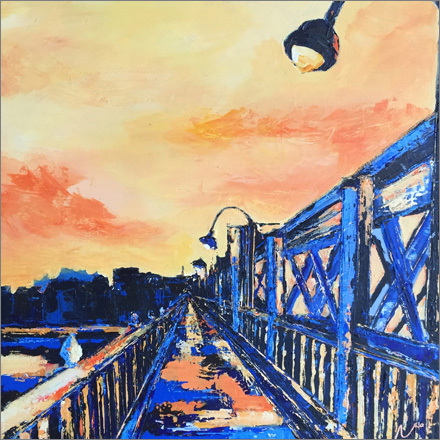 She is influenced by the work of painters such as John Hoyland, David Tress and Kurt Jackson who have helped her appreciate texture and colour in all its depth as she enjoys the process of creating in her Putney studio!